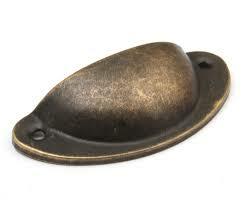 Has anyone else noticed the surging trend of antique brass in home decor? This isn’t the gaudy fake gold shine of the 80s; this is a warm, old-Hollywood art deco, comfortable, and understated richness that brushed nickel and chrome can’t impart! Can you tell I, for one, am a HUGE fan of this finish? Now, there’s no need to run out and replace all your silvery stuff. I’m also a huge fan of “anything goes” and am strongly anti-matching. If you can board that train, there’s no telling what you can do! 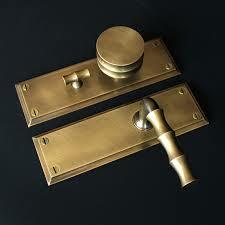 If your home is peppered with an abundance of brushed nickel, introduce some elements of brushed antique brass. If you’re a shiny chrome fan, try mixing it up with some dusky blackened antique brass. Google “mixing metals in home decor” and inspire yourself! How do I try this without breaking the bank? Well, the easiest thing to do is pick up a can of spray paint and hit that item that you’ve been debating tossing altogether. 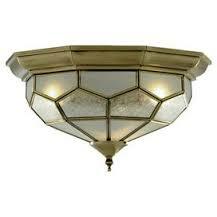 Paint works best on items that aren’t handled regularly so decorative items and lighting fixtures work best. Use the resources on the internet to make sure you’re prepping your project for maximum results. If you’re not sure about painting the whole thing, try taping off part of it and strive for that dipped effect that’s popular now! You could also hike your heiny in here and check out our supply of goodies. We have light fixtures that would make fab cloches and terrariums, we have gorgeous drawer and cabinet hardware, we have oodles of goodies itching to be painted and put back into service.